BCDB Rating: 3.6/5 Stars from 14 users. This page has been viewed 90 times this month, and 23461 times total. Cartoon Characters: Rapunzel, Flynn Ryder, Mother Gothel, Stabbington Brother, Captain of the Guard, Big Nose Thug, Hook Hand Thug, Short Thug, Vlad, Little Girl, Guards, Thugs. Directed By Byron Howard, Nathan Greno. Produced By Roy Conli, Glen Keane, John Lasseter. Written By Dan Fogelman, Jacob Grimm, Wilhelm Grimm. Editor: Tim Mertens, Paul Bronkar, Jim Passon, Brian Millman. A Disney retelling of the classic fairy tale of the Princess imprisoned in an isolated, tall tower. The only way into or out of the tower is to climb up Rapunzel's long hair. "Rapunzel Unbraided"" (Working Title) and "Rapunzel"" (Working Title). Production budget estimated at $260 million. You can watch this cartoon today on your computer. 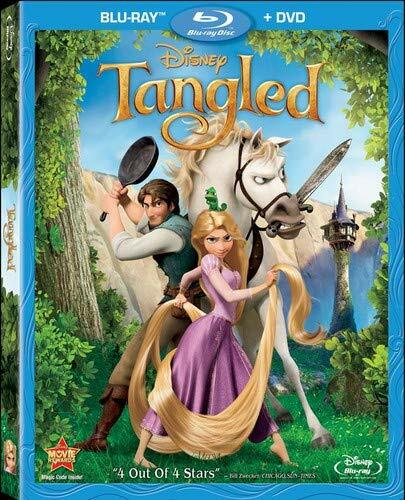 Just click below to start viewing "Tangled" online now. Do you have anything to add to this page? Have we made any mistakes... or do you have any additional information about Tangled? If so, we would love to hear from you. Please send us a quick note with your additions or corrections to this page, and we will make the corrections as soon as possible! Below are comments about this cartoon submitted by people who have seen this show. 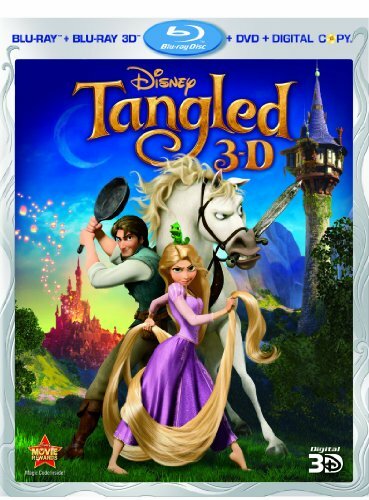 Take a look and see what others have said about Tangled. We want to know what you think, too!! Feel free to share your own opinion- we do want to hear from you! You can add your own comments here. I loved this movie. It is the best disney film in many years. Just see it as it won't disapoint. Tangled by Big Cartoon DataBase is licensed under a Creative Commons Attribution-NonCommercial-ShareAlike 4.0 International License.